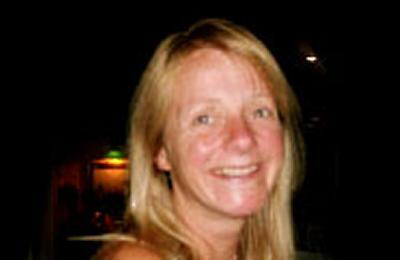 Dr Jaine Beswick is an Associate Professor of Modern Languages and Linguistics at the University of Southampton. Having graduated from the University of Salford with a BA Hons in Spanish, Portuguese and French with Linguistics, and from the University of Manchester with an MA in Language and Linguistics, I completed a doctorate entitled The Velar Nasal in Galician: Case-Study of a Linguistic Variable in a Bilingual Community at the University of Bristol. I am currently Associate Professor in Linguistics, with specialisations in Portuguese, Galician and Spanish sociolinguistic migration studies including phonetic and phonological multilingualism, variation and change. I am Chair of Residence Abroad Committee, Programme Coordinator for Portuguese Studies, ML Health and Safety Officer, Portuguese Exams Officer, and member of the Centre for Linguistics, Language Education and Acquisition Research (CLLEAR) and Centre for Transnational Studies (TNS). I am currently finishing a monograph entitled Islands of Migration. Language, Identity and Belonging on Jersey, the Channel Islands (Palgrave MacMillan , forthcoming). The focus is migratory trajectories to the island of Jersey, the Channel Islands, since WWII. It adopts a primarily sociolinguistic ad social psychological perspective in order to examine migrant communities, expression of identity in multilingual contexts, ideologies of and attitudes toward language use and in-group belonging, individual and community spaces and places and migrant visibility in sociocultural and socioeconomic settings. Dinneen, M., & Beswick, J. (2010). Introduction: The Portuguese-speaking diaspora in Great Britain and Ireland. Portuguese Studies, 26(1), 5-9. Hilmarsson-Dunn, A., Beswick, J. E., Ille, K., Jernej, M., Sloboda, M., Vasiljev, I., & Stevenson, P. (Ed.) (2010). Language use and employment opportunities of economic migrants in Europe. European Journal of Language Policy. Beswick, J., & Pozo-Gutierrez, A. (2010). Migrant identities, sociolinguistic and socio-cultural practices: Spanish and Portuguese migrations to the south coast of England. Portuguese Studies, 26(1), 41-59. Beswick, J. (2005). Linguistic homogeneity in Galician and Portuguese borderland communities. Estudios de Sociolingüística, 6(1), 39-64. Beswick, J. E., & Dinneen, M. (Eds.) (2010). The Portuguese-speaking diaspora in Great Britain and Ireland. (Portuguese Studies; Vol. 26, No. 1). Cambridge, GB: Modern Humanities Research Association. Beswick, J. E. (2007). Regional nationalism in Spain: language use and ethnic identity in Galicia. (Linguistic Diversity and Language Rights). Clevedon, UK; Buffalo, USA: Multilingual Matters. Beswick, J. (2014). Borders within Borders: Contexts of Language Use and Local Identity Configuration in Southern Galicia. In D. Watt, & C. Llamas (Eds. ), Language, Borders and Identity (pp. 105-117). Edinburgh, GB: Edinburgh University Press. Beswick, J. E. (2013). Ideology and language: Assumed and authentic linguistic practices of Portuguese migrants in workspaces on Jersey. In Ideological Conceptualizations of Language. Discourses of Linguistic Diversity. (pp. 119-144). (Prague Papers on Language, Society and Interaction; No. 3). Peter Lang. Beswick, J. (2011). Galician-Spanish-British? ? Migrant identification practices, transnationalism, and invisibility in Guildford, England. In K. Hooper, & M. Puga Moruxa (Eds. ), Galician Cultural Studies: Between the Local and the Global (pp. 125-142). (World Literatures Reimagined). New York, US: Modern Language Association. Beswick, J. (Accepted/In press). Diasporas and language. In K. Knott, & S. McLoughlin (Eds. ), Diasporas: Concepts, Identities, Intersections London, GB: Zed Books. Beswick, J. E. (2010). Linguistic ideologies in institutional settings: the pronunciation of Galician in radio broadcasts. In L-D. Nuria (Ed. ), Spanish at Work: Analysing Institutional Discourse Across the Spanish-Speaking World (pp. 35-49). Basingstoke, GB: Palgrave Macmillan. Beswick, J. (2007). The Portuguese Diaspora in Jersey. In B. Preisler, A. Fabricius, H. Haberland, S. Kjaerbeck, & K. Risager (Eds. ), The Consequences of Mobility (pp. 93-105). Roskilde, Denmark: Roskilde University. Beswick, J. (2006). Galician. In R. E. Asher (Ed. ), Languages of the World: Encyclopedia of Language and Linguistics, 2nd Edition (pp. 717-720). Amsterdam, Holland: Elsevier. I would also be happy to co-supervise research in instrumental phonetics and speech production being carried out in other disciplines.